The wind of fuel shortage that is reportedly sweeping across Liberia is likely to hit the Bong Mine Hospital in Fuamah District Lower Bong County if nothing is done by the Central Government to address the situation. 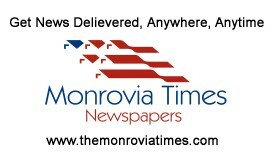 The Monrovia Times Newspaper has learned that the Hospital is gradually running out of fuel and it may be in darkness as of February 11, 2019; a situation that might cause serious problem to the already poverty striking Liberians in the area. The Administrator of the Hospital, Alvin Sirleaf told reporter on Wednesday January 30, 2019 in Bong Mine that fuel shortage has not affected the Hospital to that extent because his leadership do a quarterly procurement of materials and other supplies for the facility but if the government does not release allotment soon, the Hospital will be in serious darkness. He noted that in the absence of electricity, major cases like surgery and laboratory investigation among others will not be performed at the Hospital and patients will be transferred to other Hospitals. “What we did as a sound management in our annual planning is because the PFM law and the law of the Ministry of Health, we do a quarterly procurement of our materials and other supplies for the Hospital and it had not affected us to that extent but if government does not release allotment before the eleventh of February the Hospital will be in darkness so we are praying that allotment be made before that time” he voiced out. According to him, they cannot go back to their vendors that they’ve already credited from unless payment is made before taking anything again adding, ‘because that’s how it works. Mr. Sirleaf who did not disclose the amount of dollars they owed their vendors said the Hospital burns forty-five (45) gallons of fuel on a daily basis. He narrated that in October of 2018, the Hospital received its first quarter allotment in the tone of forty-five thousand Liberian dollars ($45,000) some of which was used to purchase drugs, fuel, stationeries, food for patients and sanitary materials respectively. Meanwhile, Mr. Sirleaf is urging the people of Bong Mine and other partners to give their support to the Hospital and cooperation to see how best quality healthcare services can be fostered in the District indicating that government cannot do all.